From the entire Altman family, for your continued business and support. We appreciate your choosing Altman for all of your lighting needs. It’s your continued interest in our product line that helps to maintain our reputation as a worldwide leader in theatrical and architectural lighting products. We look forward to serving you. From receipt of customer order, our experienced customer service representatives process orders into our computer system for scheduled ship dates. Each customer order is analyzed to insure accuracy and customer delivery in a fast accurate manner. Altman Lighting™ manufactures a full standard product line of Theater & Stage, Television & Film, and a large Architectural product line to accommodate every specification. 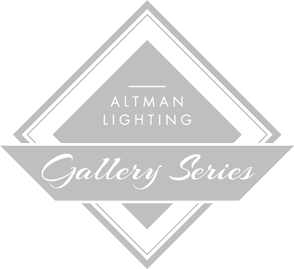 Altman Lighting specializes in custom work which is available in all product lines. All custom work is routed through our engineering department for review of form, fit, and functionality. In most cases prints are computer generated in SolidWorks 3D to aid our technicians in the manufacturing process. Custom work can range from building a specialty lighting fixture to a custom paint application. Our manufacturing process is driven by real time customer requirements, and directly linked to our computer guided MRP software program which generates work flow throughout our manufacturing plant at different stages. Our warehouse operation controls all raw product materials and inventories, twenty thousand plus component parts at any given time. These parts are grouped and distributed by time sequence to multiple manufacturing work centers for the production process of all products. The first stage of manufacturing starts in our fabrication department which consists of all metal fabrication. 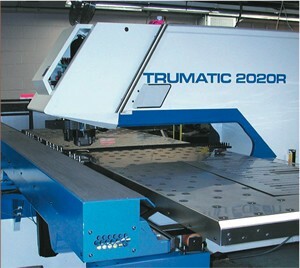 All steel and metal parts are processed with state-of-the-art automated lasers and CNC punching processes. Once component steel parts are fabricated with all primary and secondary operations they are moved to our electrostatic paint operation. In this department steel surfaces are degreased with a high pressure wash process, baked at a high temperature to dry and painted on an automated conveyor system by the selected production color. This department can produce up to three thousand parts per day of powder coated component parts with a superior paint finish. Product assembly is the next process where heavy emphasis is placed on quality control. Departmental managers and supervisors oversee the assembly of production runs and are responsible for meeting manufacturing deadlines. Altman Lighting has multiple finished product assembly lines which are defined by product type. Trained technicians at Altman Lighting merge electrical components, painted parts and assembly experience creating high quality finished product. All finished products are tested, labeled and forwarded to our packaging department for the final step in production. Once the finished product is packaged, it is then grouped by customer order or put into one of our many warehouses available for sale to our customers. Customer orders that are scheduled to ship are now packaged and palletized ready for outbound shipment. Based on the shipping method the customers requires, carriers are notified to pick-up the completed orders and shipments that same day will be loaded onto to trucks by forklift for shipment. Once customer orders have shipped from our facility, customers are notified by electronic mail with a shipping confirmation providing them all pertinent information required to track their personal order. In addition Altman Lighting offers every type of outbound shipping available including freight forwarders for international shipments, air freight, and delivery in the tri-state area by our own fleet of trucks, as well as customer pick-up. Skilled, experienced staff using the latest production equipment assures you of products to meet all your custom lighting needs. Altman Lighting controls all processes in-house to meet your exact specifications and requirements. Our design and engineering staff have worked with some of the top lighting designers to create unique luminaries that both enhance and illuminate the environment being shaped. 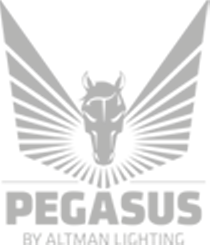 Our vast experience in producing fixtures ranges from conventional incandescent to LED technology. Our research and development team will work with you to find the perfect solution to building an aesthetically pleasing yet ruggedly functional luminaire. With our state-of-the-art technology for fabrication, bending, and metal cutting, we have the machinery in-house so that we can maintain the tightest of tolerances and present the designer with the physical realization of their most innovative designs. Utilizing the latest CAD/CAM and CNC technology, with a minimal design to finish time, Altman can insure prompt delivery. For over 50 years, Altman Lighting has known the importance of opening night and we know the importance of your deadline.